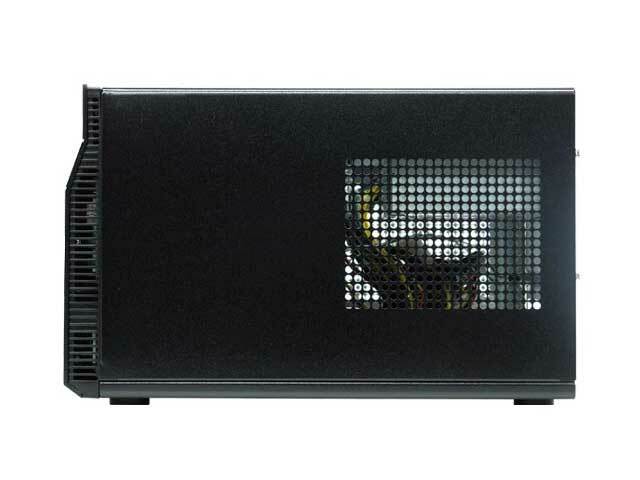 Full featured aluminium bodied high quality Mini-ITX case with quiet 300W SFX PSU, and huge front mounted slow moving 120mm cooling fan. 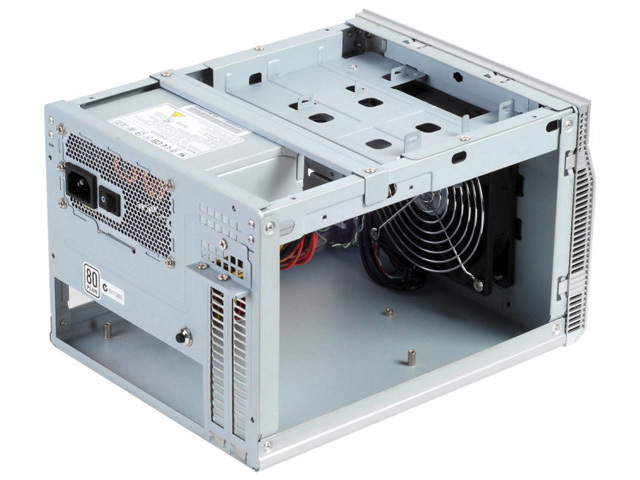 High quality aluminium front panel, SECC body. 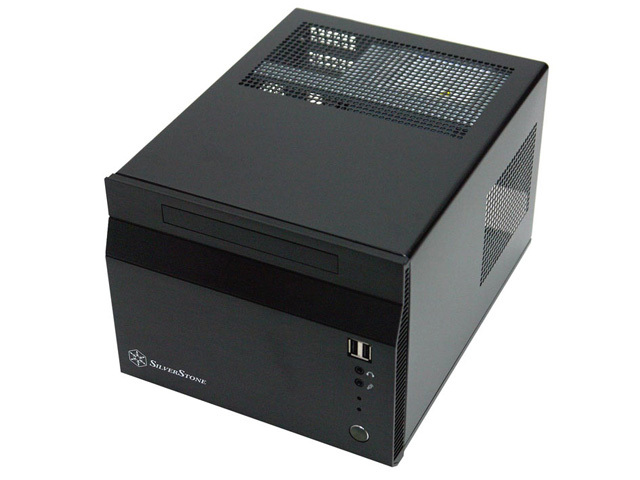 The SG06 is just 11.14 litres in volume, but has room for up to a 10 inch dual slot graphics card and a full height CPU cooler (up to 78mm). 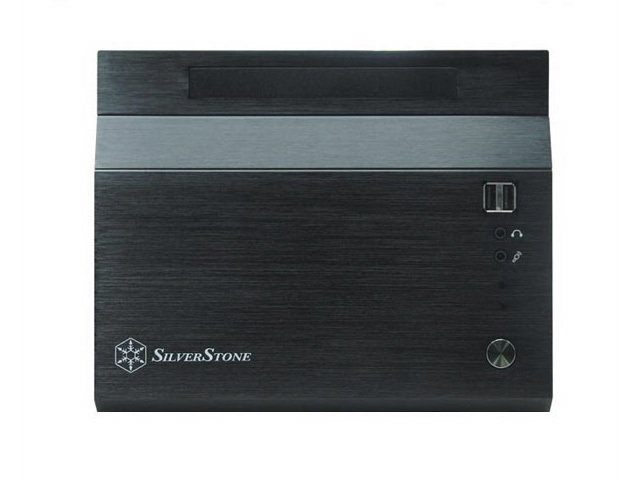 Drive Bays: 1x 3.5in Hard Drive; 1x 2.5in Hard Drive; 1x Slimline Optical Drive (slimline adapter or cable required); 1x PCI or PCI-Express (up to 9 inches long). Cooling: 1x 120mm 1200 RPM Intake Fan; Overside Side and Top Vents. Front Panel: 2x USB 2.0, 2x 3.5mm Audio. Power supply: SFX 300W (80plus certified) - capable of powering a full size dual slot graphics card. 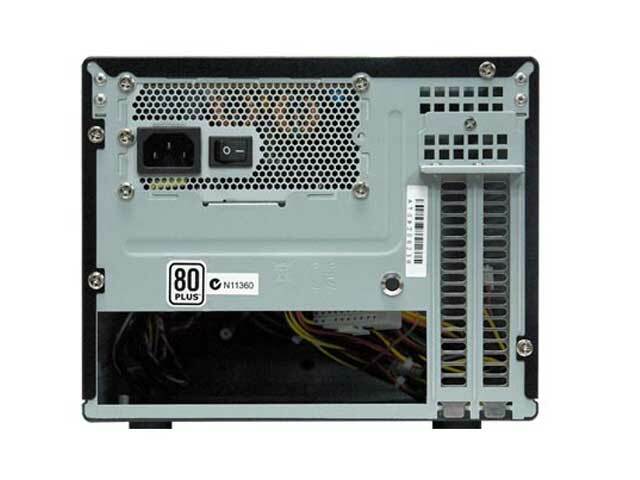 Power connectors: 20pin ATX; 2x 4pin 12V; 1x 6pin PCI-E; 3x SATA; 2x Molex; 1x Floppy. Supported boards: All Mini-ITX boards. Maximum heatsink height: 82mm. Supported graphics cards: Double Width Cards up to 10in Length (254mm) & 5.11in High (130mm).